Hashtags Officially Come to Facebook, But Be Careful How You Use Them! It’s long been rumored that Twitter-style hashtags were coming to Facebook, and yesterday Facebook made it official: anything posted on Facebook and marked with a pound sign is clickable. While hashtags are an effective way to promote online discussion, Facebook’s move to a wider conversational format is concerning from a privacy perspective. Hashtags function so well on Twitter in part because of the 140-character limit of tweets; in other words, Twitter users must think carefully about what they’re going to post before they post it, leading to less regrettable remarks. Facebook, however, is a different story. There is no real length limitation, and many users dash off posts without thinking twice. That, plus Facebook’s significantly larger user base, makes adding hashtags to posts a much greater responsibility on Facebook. Of course, it’s never a good idea to post something regrettable on Facebook, but with the addition of hashtags, the audience for those posts could grow exponentially. 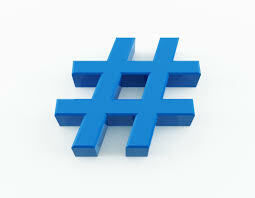 Your Facebook privacy settings remain intact while using hashtags. If you have your sharing option set to friends only, then only friends will be able to see your post tagged with the respective hashtag. * Hashtags work on personal profile posts, fan page posts, group posts, event posts, and all comments. * As with all personal profile features on Facebook, privacy settings prevail. * If you publish a post on your profile to friends only, and the post contains a hashtag – yes, the hashtag will be clickable and open up to display all other posts on Facebook containing that hashtag. * But, ONLY friends can see friends-only posts that show up in hashtag searches. * Public posts—with or without hashtags—are public. * Private (friends-only) posts—with or without hashtags—are just that: private and visible to friends only. *Even when friends include hashtags in comments on your friends-only thread, your post is still private and visible just to your friends. *With hashtags shared in private groups, that clickable hashtag will open to show public posts with that tag (along with any friends’ posts with that tag), but posts from the private group would only show to members. *Individual comments on threads do not surface in hashtag searches; just posts show in searches.